The summers have arrived once again and we are trying our level best to keep cool. With each passing day , the heat of the sun is increasing and we are left with no option but to suffer the scorching summer heat. However, these is no need for you to continue suffering. 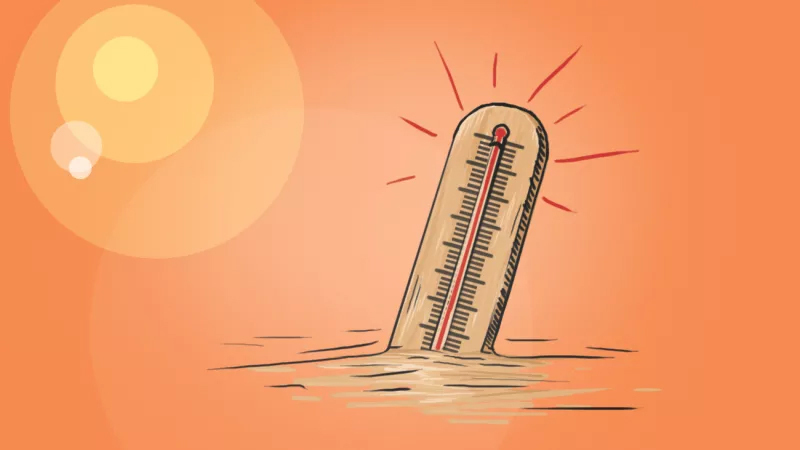 Here in this article we will highlight the top 10 most effective ways to beat the heat. The solution to all the problems remains but one water. Here too when we talk about beating the heat, one solution that comes to mind is the water. it is not only a conventional method but also tried and tested. On sunny days, you need to keep your body entirely hydrated. The reason is that in heat you tend to lose a lot of water content from your body in the form of sweat. Also, in case you are fond of exercising then this becomes all the more important for you to have as much water as you can. You can consider your body to be a machine that heats up due to functioning even the more on the hot days and this calls for more water to cool this machinery of yours down. This free and easily accessible option to beat the heat should thus be used as much as possible. It has a lot to benefit and nothing to harm. Sweat is one of the by-products of excessive heats outside. To get rid of the same, you may make use of the antiperspirant. This will help you to deal with that humid pungent odour excretion from your body. One thing more that can come to your rescue in such a case but not many pay attention is the clothing you wear. To beat the heat it is important for you to go in for making use of the breathable clothing materials and there can be no choice better than that of the cotton. True that to beat the heat you require to run the AC almost the entire time but that gets really expensive. In such a case you need to go in for the alternatives that you can create for yourself. Here we are talking about the pseudo-air conditioner with some basic materials that will prove to be a cheap option for you. You can go in for the Styrofoam-and-fan version. If no this then there are a plenty of other options also available for you. The usual tendency is to face the fan in and enjoy the cool air. However, the fact remains that instead of facing the fan in if you go in for facing your fan out at night, then your room will stay a little more cooler and you will be able to sleep even more comfortably. Making use of the temperature controller will help you automatically turn the fan on or say off on the basis of the temperature and you will be able to save a lot of energy. In case of a ceiling fan you should make it run counter-clockwise so that you can actually enjoy the optimum cooling. In summers one thing that is loathed the most is cooking. So, this is the season of the year that rightfully permits you to have your food outdoors. However, the pitfall is that the food that is heated by the sun is not that enjoyable to have. In such a case you can go in for making use of the evaporative cooler, not only for your food but also for your drinks. It can all be done with the help of the two containers or simply by creating the ice blocks for the cooler with the help of the cartons. Summers in no way give you a licence to skip the exercise. However, it does make the process a little lenient as you should go in for light exercises only that you can go in for performing comfortably. You can simply go in for water sports in the morning and in the evening. You can workout in the good conditions and have good coolants with you. Simply you need to close the windows and then make use of the insulated drapes so as to keep the sun out the entire day and simply open them at night. Also you can go in for hanging the damp towel. You simply need to roll down one window and then you need to open and close the opposite door. This you need to do a few times and eventually your car will get cool in a comparatively less time. This is a tried and a tested trick. Summer heat raise the body temperature and this makes it hard for you to fall asleep and finally you begin to feel like an insomniac. All that you need to get your sleep back is cool your head with a specially built pillow, for instance the Chillow and sleep on the top of the wet sheet. This is the Egyptian method. There are parts of our body that tends to cool down quickly in comparison to the others. For many it might be the neckline and for others the wrist area. In such a case you need to know your cooling point and apply the ice cubes wrapped in towel to the same so as to keep yourself cool. All in all, these are the top 10 most effective ways to beat the heat. This summer you need to be ready with these tips and hacks so that the monster sun can harm you in no way. all these ideas will help you to beat the heat in an effective and an easy way.